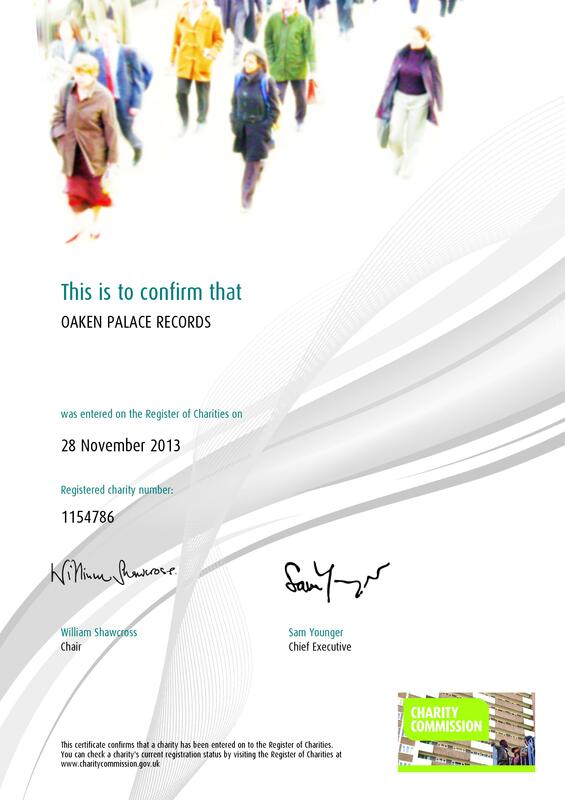 Oaken Palace Records has been granted the status of Charitable Incorporated Organisation (CIO) by the UK Charities Commission on 28th November 2013. Our charity number is 1154786, and further information can be found in the Register of Charities. (2) The conservation of endangered species of animals by the provision of grants. If you want to get involved in any way, send an email to contribute[at]oakenpalace.com.